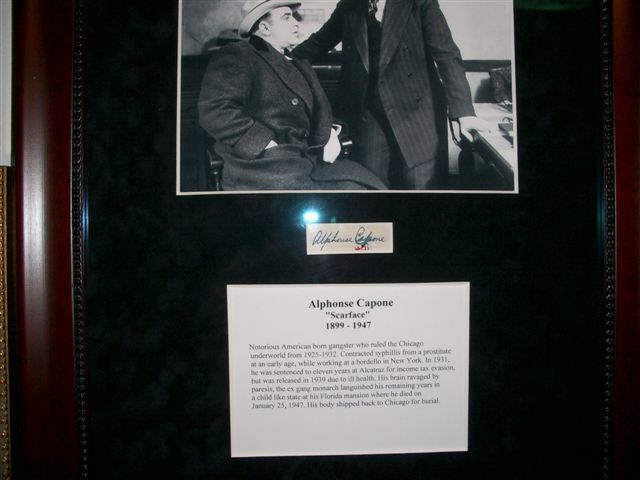 Al Capone signatures are hard to come by, at least authentic ones. Read the 101 on how to help you spot one here. Below is my authentic example, in which I finally got around to framing myself. The check was signed by Arnold Behrer Jr. who took over his father's plumbing supply company. It was made out to Alphonse Capone. In fact, several of these were made out to Al and were cashed by him in June of 1923. Al was in the process of moving the rest of his family out of New York and settling them at his new South Prairie home in Chicago. The Arnold Behrer Plumbing Supply company was around for many years and was a big player in the plumbing and steamfitters business. They supplied plumbing for many housing and hotel projects. 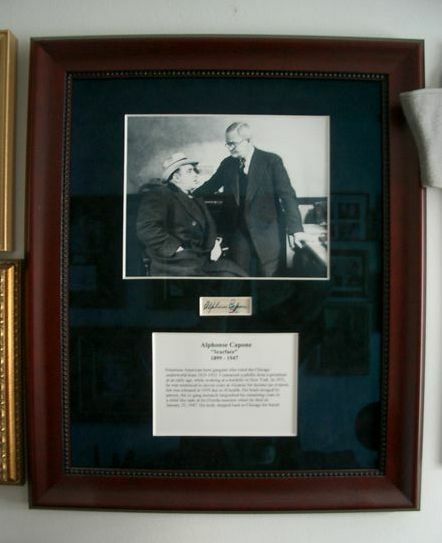 Arnold Behrer Sr., passed away in 1919, leaving all the business to his son Arnold Jr.
Corn Exchange bank where Al Capone cashed the above check. The plumbing supplier was active in New York social circles, even had it's own bowling league. 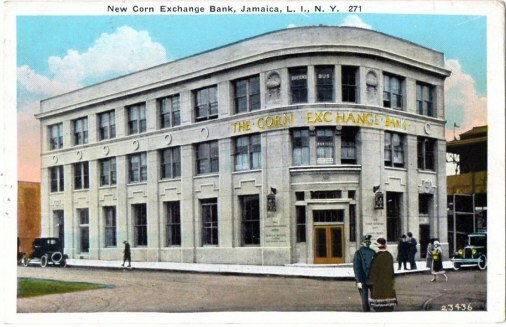 Arnold Behrer Jr. was even a Trustee in Banking (Corn Exchange Bank). In 1918, Arnold Behrer and Clarence Behrer bought a building at 90-33 160th Street, Jamaica, New York. The building housed a club. Capone could have held an interest in this club and have been recieving payments from Behrer. Arnold Behrer later leased out the building in 1932, and he lost possession of it due to Mortgage legal proceedings in 1940. Read about the history of this famous building by clicking below.